Give Roses on Valentine’s Day! You woo that special someone every year with grand gestures and gifts, why not show your skin it’s special too? As your body’s largest organ, the skin needs special attention. If you’ve been unkind to your skin for the last few months, it’s time to make-up. For the month of February we have some exciting suggestions for way to show your skin some love. Treat that special someone to any one of our custom treatments they will love you for it! Why buy a bouquet of roses when you can buy a tube of rose-infused skincare? 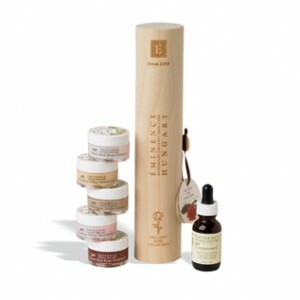 If you read this blog regularly, you know that we are devoted lovers of the Eminence Organics brand. Right now, all of the rose products carried by Eminence comes packaged mini sized in a kit just for you. The tube retails at $69.00 and is an excellent gift for anyone who loves treat their beautiful skin. You can pick up your own Rose Collection Tube at SKINS Derma Care, but hurry while supplies last!